In the first of two productions that feature the Bashkirian bass this season, the Metropolitan Opera welcomes Ildar Abdrazakov back to its stage for a revival of L’italiana in Algeri. 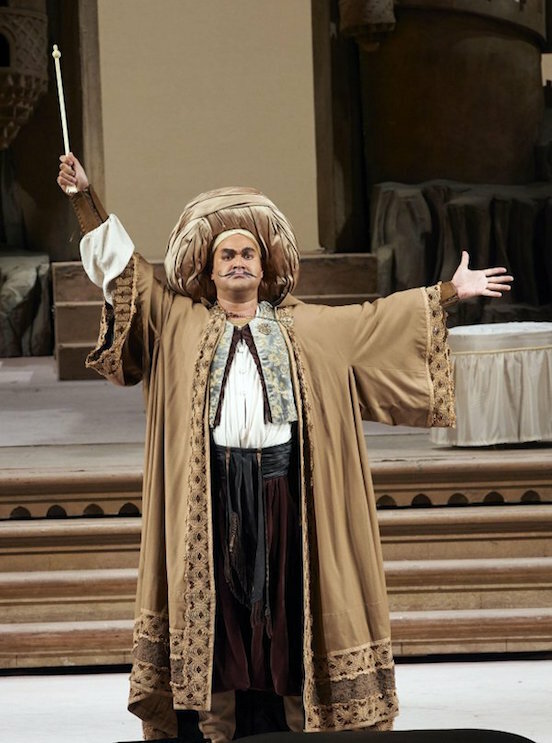 As Mustafà in Rossini’s giddy comedy, Ildar stars in Jean-Pierre Ponnelle’s production. He previously gave one performance of the role in New York in 2004 under the baton of James Levine, who returns to the podium for this revival. Ildar is joined onstage by Elizabeth DeShong as the eponymous Italian girl, Isabella, with Ying Fang as Elvira, Rihab Chaieb as Zulma, René Barbera as Lindoro, Nicola Alaimo as Taddeo, and Dwayne Croft as Haly. October 4’s opening performance will be streamed live on the Metropolitan Opera’s website and on Sirius XM. Additional live broadcasts on Sirius will take place October 12 and 26. An encore transmission will take place on December 31 on digital and terrestrial radio as part of the Met’s popular Saturday Matinee broadcast series.